See ba, Artist, Entrepreneurs, or what ever you are doing (to make a living/ or for fun as you see it) you have to start a culture of intense social media activity. In case you haven’t noticed, this social media thing is kind of a big deal. Ok, First, let’s get this out of the way. 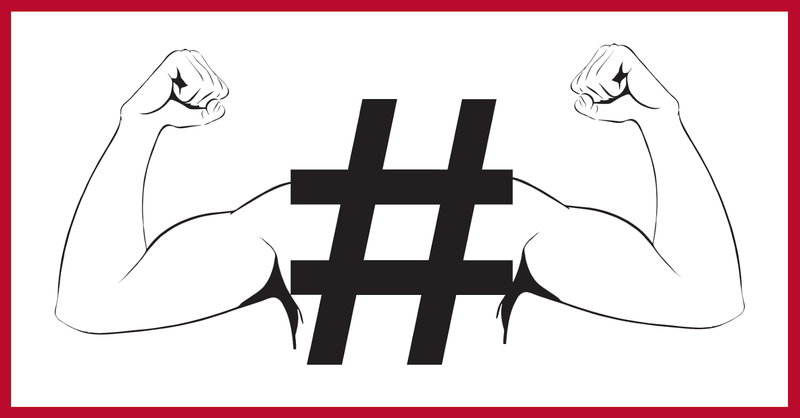 Should you use hashtags? Why? What good is going to come of it? Thankfully, there’s plenty of research on the art and science of hashtags. Take these reasons into consideration. Hashtags are universal. Anyone on the social network can view it, click it, and explore. Hashtags create engagement. Anyone who clicks a hashtag trail can see your hashtag, your profile, you. Your influence extends outside the boundaries of your own followers. Tweets with hashtags get two times more clicks, retweets, favorites, and replies than tweets without hashtags. Hashtags are an opportunity. 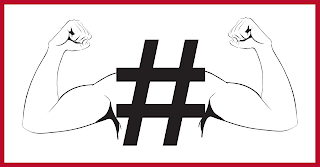 In spite of their proven ability to attract greater engagement, only 24% of all tweets contain hashtags. Hashtags are a simple, honest, and explosive way to increase your engagement as an entrepreneur. For example lets talk about the most prolific and divisive hashtag campaign of recent times, #BringBackOurGirls. This campaign was launched by a group of Nigerian activists to raise awareness and galvanise international action after the terrorist group Boko Haram kidnapped 250 Nigerian schoolgirls 2 years ago. The Nigerian government was heavily criticised by its own citizens for the lack of response in the wake of the kidnapping and little appears to have happened to secure the safe return of the girls since. Activists felt international pressure was vital for the situation to improve and as a result started spreading the word, or rather the hashtag, #BringBackOurGirls. What followed was a tidal wave of hashtag activism unlike any other. Within weeks world leaders and cultural icons were sharing their support for the cause. Mary J Blige, Malala Yousafzai, Michelle Obama and many, many more wielded the hashtag like a megaphone and shouted loud to their fans, followers and influential peers. By May 4th (that year), 40% of the hashtag activity came from the United States and a few days later the hashtag had been tweeted more than 1.2 million times. Support for the cause has not been without its fair share of criticism, with some voicing their concern this type of “armchair” activism won’t do much in the way of rescuing the schoolgirls. But that isn’t necessarily the point. Rather it is about making the world take notice in the first place, and it is hard to deny the success it has had in getting the international community to not only stand up but to also get involved. This is the hashtag at its greatest, with purpose and power. Every major social media platform allows hashtags, so you can use them anywhere you want. Here are some insider tips for each platform. Facebook - Hashtags are still trying to catch on. Most Facebook users aren’t used to pressing the # key. Don’t let this keep you from using them! 1-2 hashtags is about right. Any more than that, and you’ll start to lose engagement. Pinterest - Hashtags work in the Pin description only, and the hashtag searchability is pretty limited. Google+ - Using hashtags is a must. The great thing about Google+ is that you can use hashtags in your comments and in your posts, which gives you double the engagement power. Google+ is highly favorable towards hashtags, since they build them directly into the search functionality, and provide a hashtag sidebar featuring other hashtagged posts. YouTube - Hashtag power is limited. You can definitely use them, but most of the engagement happens in comment threads. - Twitter is the mother of all hashtagging social media platforms. Hashtag to your heart’s content. Virtually nothing is off limits. Keep in mind that the sweet number of hashtags is two. Hashtag any more than that, and you’re going to diminish your engagement. Instagram - Go all out with Instagram hashtags. The highest Instagram engagement comes to posts having 11 or more hashtags.